This darling, light and airy 3 bedroom, 2.5 bath home with a downstairs master suite has been tastefully renovated to dazzle you and shows like a model! It features fresh paint inside and out, and has been upgraded with beautiful engineered hardwood flooring, custom cabinetry, stainless steel kitchen appliances, quartz countertops, a built in buffet in dining area, crown molding, ceiling fans, tankless water heater, low-E Milgard windows throughout, new light fixtures and interior doors, and inside laundry area. There is a private yard with redwood deck, fresh landscaping, and the complex features a âVillage Greenâ style common area as well. The property offers easy access to San Luis Obispo restaurants and shops via the nearby bike/walking trail. These Morro Vista homes are rarely on the market. 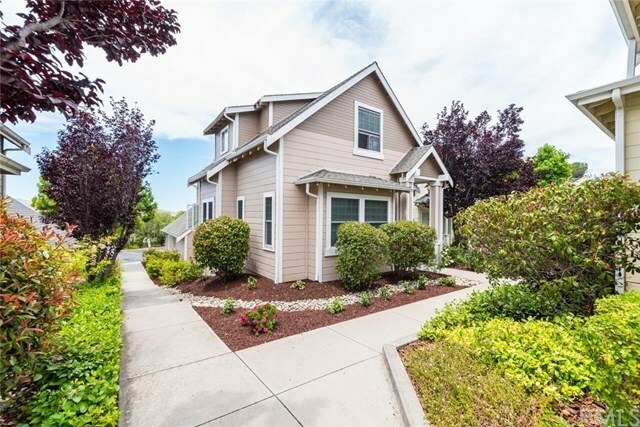 It's move in ready AND low maintenanceâ¦.better move quickly to enjoy all the SLO life has to offer! Directions: From Johnson, turn west on Bishop, right on Florence. Property will be on left. It's the second unit in from the street.